Ask most Christians about Dungeons and Dragons (D&D) and they will tell you that it’s a tool of the devil. That you’re opening yourself up to demon possession and untold evil will befall you. That only Satanists play D&D. I used to think that way. But twenty years ago I made friends with a new coworker. He talked about his younger days planning D&D and the fun they would have sitting around the table solving puzzles, defeating monsters, and falling victim to some incredibly funny traps. I was rolling on the floor laughing. Some time later we visited the local gaming store. We live in a county larger than some states, but the population is really quite small, so it was the only gaming store within a hundred miles. The people there were incredibly friendly. They were starting a new D&D campaign that would meet once a week and they were looking for players. 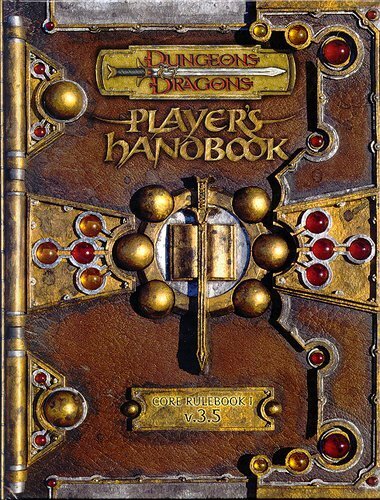 We signed up, I bought the Wizards of the Coast Player’s Handbook 3.0. It’s actually called Advanced Dungeon’s and Dragons now. My friend helped me roll up my character. 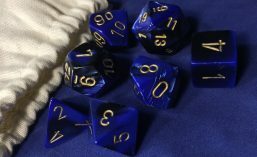 A bit of background for those who are not familiar with AD&D. There are three basic alignments – Good, Neutral, and Evil. Within each of those there are more specific labels. I wasn’t going to play an evil character and chose good. I’ll save you the rest of the character’s attributes. For the purposes of this discussion the alignment is the only thing that is important. A few weeks later we went to our first session. Everyone there had a Good character of some type. No Evil baddies in the group. I was glad to see that. If you’ve ever played AD&D, or seen some of the comics about groups of players, you’d recognize our party’s stereotypes. I was the noobie. I got my character in all kinds of trouble. We had our Rules Lawyer. His job was to question any ruling by the Dungeon Master (the guy running the game) that went against our party. He also maximized rules and stretched interpretations if they would help. There were people playing cross-gender characters. The quiet one who just wanted to have fun and went with the flow. One who just wanted to fight and kill monster. One who got deep into character, complete with funny voices. You name it. They were a blast. And they were very patient while I learned the game and laughed themselves silly when I got my character into trouble. They became friends. I could see where a young skulls full of mush could become involved in the game and be influenced by the forces of darkness. However, I would have to say that there was something about that person that likely gave them that particular bent to begin with. You would create an evil character because you already had the desire to be evil and do evil things. The door is already open in your heart. I will concede that the game could then be used by the powers of darkness to strengthen their hold on the person, but the game itself is not evil. But I also recognized where the game could be used to help teach someone how to become a better person and lead a more productive life. A Paladin is, by the rules of the game, a Lawful Good character. He does not commit any evil or questionable act, even if he could justify it by a good outcome, nor does he consort with any character that is not good. It is strictly against the rules. Paladins think about others before themselves and will make sacrifices in order to help another person. A thief is a thief and restitution is a must. Redemption is possible, but must be proven. Paladins seek out other like-minded individuals to associate with. My argument is that the type of character selected is indicative of the kind of person the player is. The character is evil because the player is, or wants to be, evil, not the other way around. This may be a very simplistic explanation for some more complicated game mechanics, but the principle still applies. For the most part, I believe that Christians are trying to do what’s best, and their hearts are in the right place. I’m with them on Ouija boards. They have one purpose and one purpose only – to contact the dead, evil spirits, and demons. They have no redeeming qualities whatsoever. They are capable of opening portals that just can’t be closed. My best advice is, if you think that it’s bad, then you should stay away from it. If your parents think that it’s evil and tell you to avoid it, then do what your parents tell you to do; that is your obligation under God. The game has been around for decades and will still be then when you are an adult, if you’re still interested. This entry was posted in AD&D, Christianity, Gaming, Life, Religion, Social Issues. Bookmark the permalink. ← My journey began with DEATH, and the road less traveled.